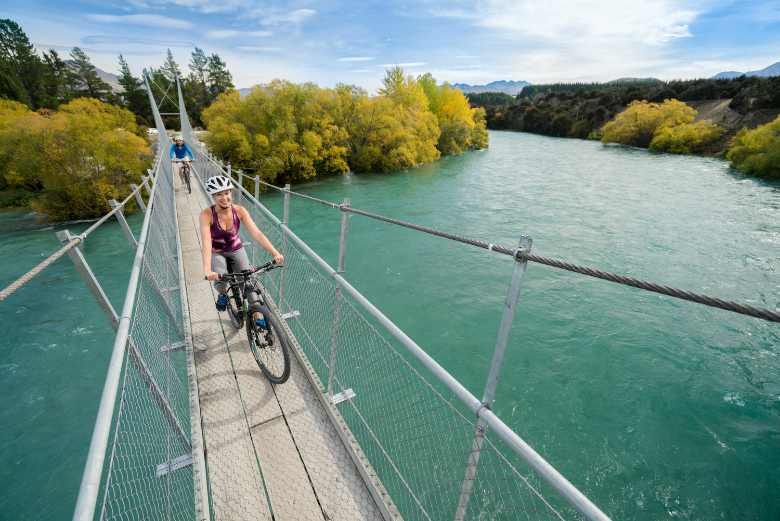 The Wanaka region offers mountain bike tracks for all levels, from total beginners to experts. From scenic road rides around the region with astonishing views, to kilometres of uninterrupted single track and fantastic high-country riding in the mountains. 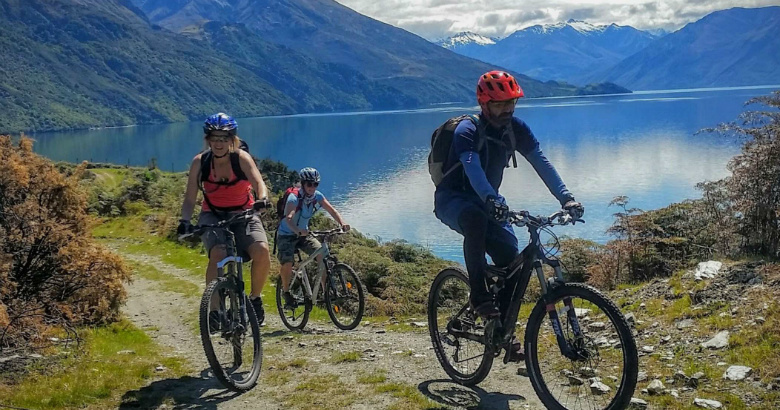 Weather you are a single rider wanting to discover the tracks around Wanaka, a group wanting adventure, there is something for everyone. Luxury Adventures work with local guides who can show you the tracks, ranging from a couple of hours to overnight biking adventures. There are tours suited to all ages, and levels of experience. Unlike Tony, Luxury Adventures founder who is more of an accomplished mountain biker, I do not profess to be a cyclist, my idea of cycling consists of relaxing, cruisy rides with pretty scenery. 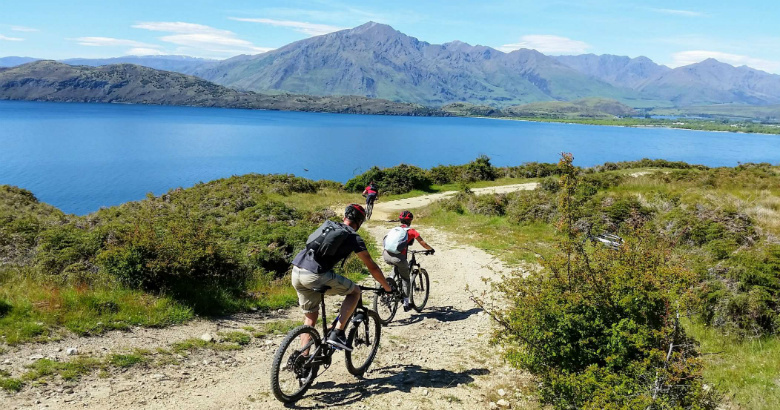 So when I was offered a cycling trip with Scott from Wanaka Bike Guide on a recent trip to Wanaka I was a little nervous, especially since it was the day after we ran the Queenstown Marathon! I chatted with Scott and he put my mind at rest, he would take us on a nice easy track with great views, and we could go on from there if we wanted to add more. Scott picked us up from our accommodation at Aoturoa Lodge, and drove out to Hawea, 15 minutes drive from Wanaka. Scott provided the bikes, helmets and water bottles, he made sure the bikes were set for our height, had a quick chat about the gears and off we went! The track we followed was well defined, a relatively easy 10km trail following the river with great mountain, river and lake views and swing bridges crossings. There were some hills but nothing too strenuous and we had plenty of time. Scott stopped occasionally to point out places of interest, talk about the history of the area, and check we were happy and comfortable. The trail ended at Albert Town after crossing a swing bridge where Scott had flasks of hot drinks and muffins for us to enjoy, there was the option to continue on another trail however time did not permit. We both really enjoyed our morning and the trail was a great insight to what is available in Wanaka. There are trails for families with children, add in a picnic and spend the day or options for the more experienced and adventurous mountain biker. if you would like to include a bike tour in your Luxury Adventures vacation please ask our team. I would like to thank Scott West of Wanaka Bike Guides for a wonderful morning bike riding in some amazing countryside!